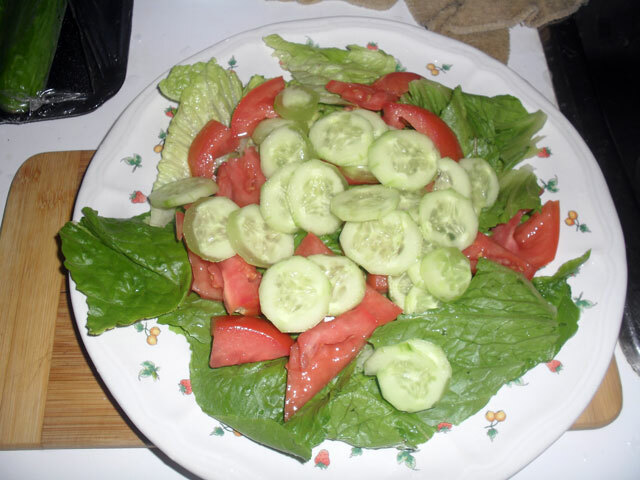 Here is a simple meal that you can cook for your family. My father told once that searing keeps moisture and flavor in. With searing/frying, the oil is in the pan. In grilling, the oil is on the food, (or basting). 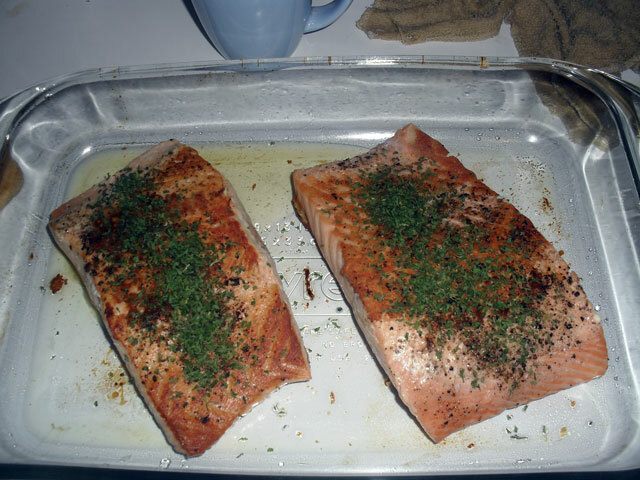 So later on when I sear the salmon, I will drizzle the salmon with olive oil. I’m really not so sure about this. My father and I are not chefs or cooks. We just cook as a hobby. With regard to the ingredients, there are no exact measurements. 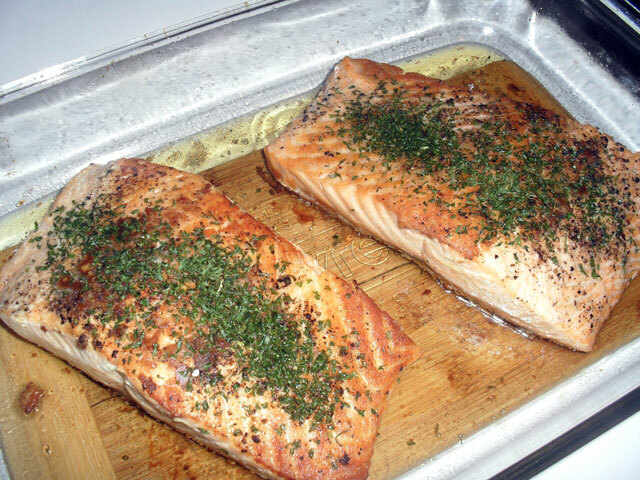 Just make sure that the salmon pieces are covered by the seasoning or depending on your desired taste. More salt, saltier. More pepper, spicier. Cooking time: 30 minutes for two pieces of salmon. 1. Season Salmon. Drizzle the salmon with olive oil. Put salt and pepper. 2. Heat pan. DO NOT PUT OIL IN PAN! 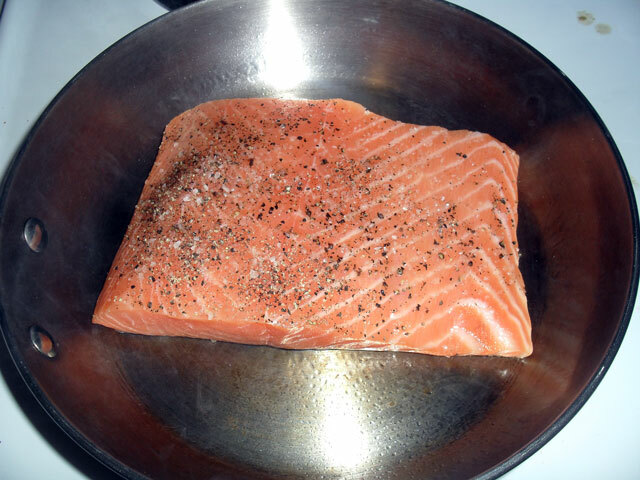 Place the salmon in the pan only when the pan is hot. This is a technique my father taught me. If you are going to sear or fry food in a pan, make sure that the pan is hot so that the food will not stick to the pan. 4. 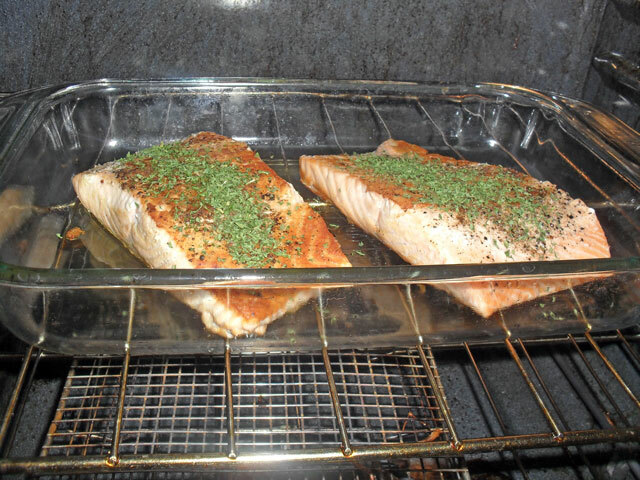 After five minutes, set aside the salmon (on a baking dish or Pyrex dish) and cook the other piece. Do steps 3 and 4 depending on the number of salmon pieces you want to bake. N.B. At this time, I will pre-heat the over at 350 degrees Farenheit. 5. 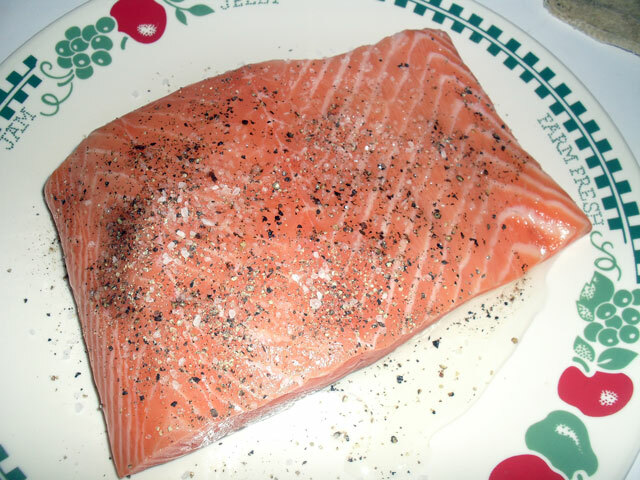 Once all the salmon slices have been cooked and placed in a baking dish, sprinkle parsely on the salmon. 6. Bake the salmon for 20 minutes.